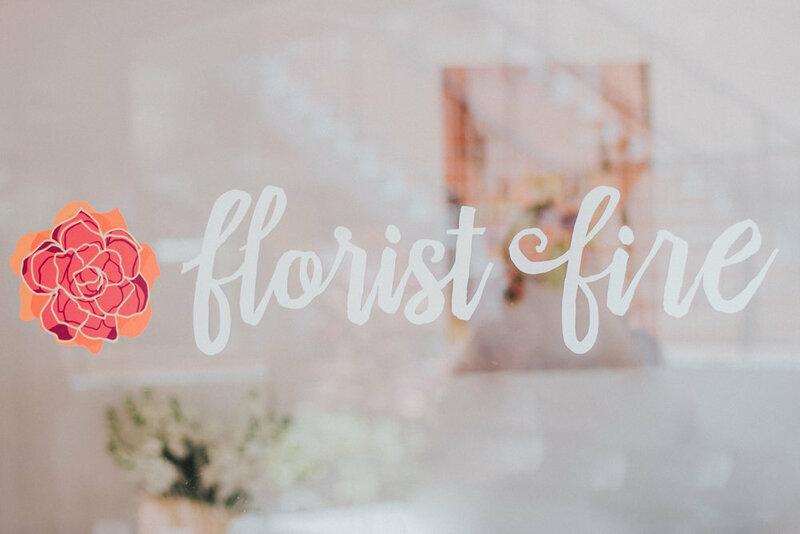 Florist Fire is a wedding and event florist in the Tampa Bay area. Headed by Gayle Zerr, this growing company needed a fresh look to match the passion and energy of it's founder. Gayle's motto "Build with my hands what I have in my heart" was a key component of her brand story. Vibrant, fiery colors and a fun script text treatment play up Gayle's non-traditional view of her art form. A bold sub palette is flexible for special event branding and her retail space.